Notes on this edition: Julian Barnes. 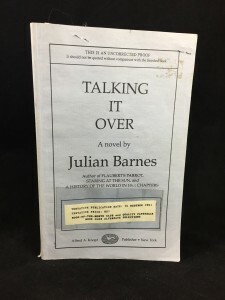 Talking It Over. 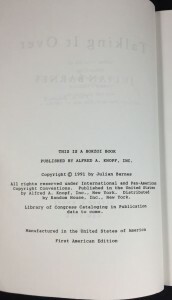 New York: Alfred A. Knopf, 1991. Pp. 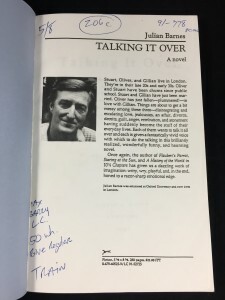 273 + . 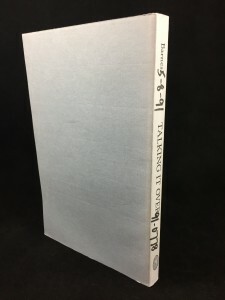 19.9 x 13.5 cm. 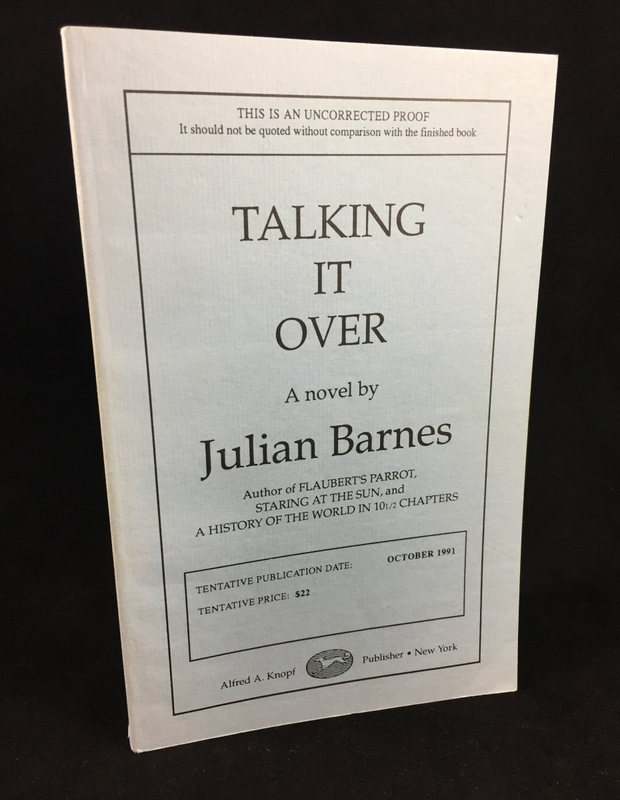 Uncorrected proof in light blue paper covers. 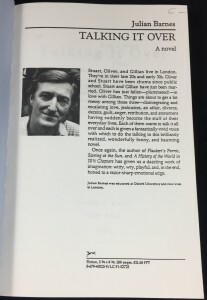 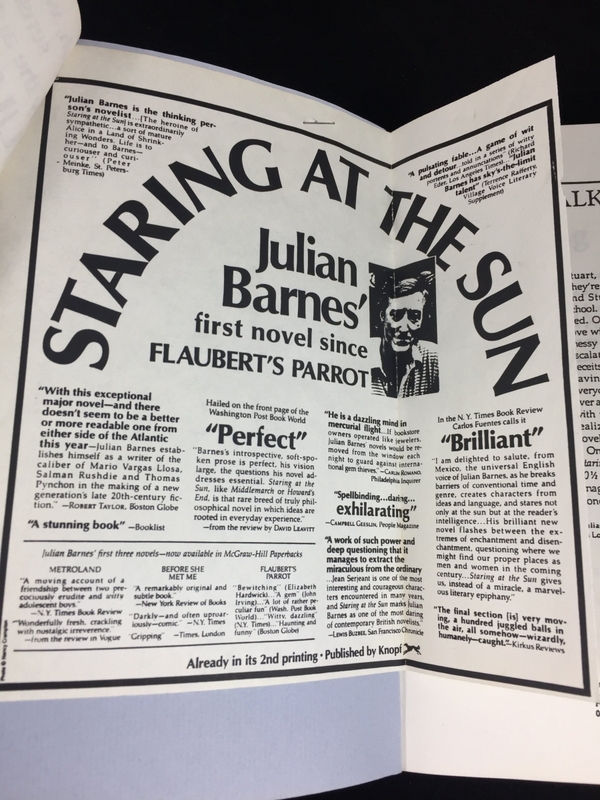 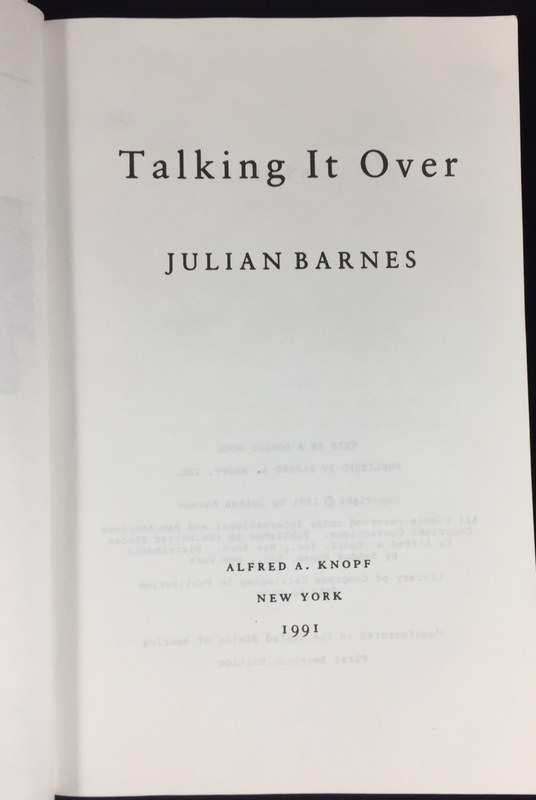 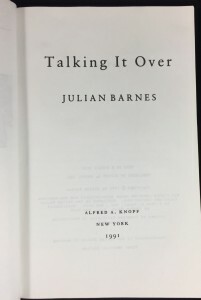 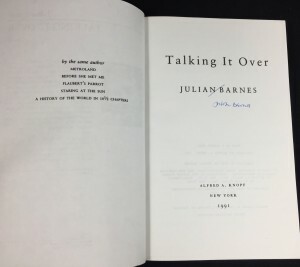 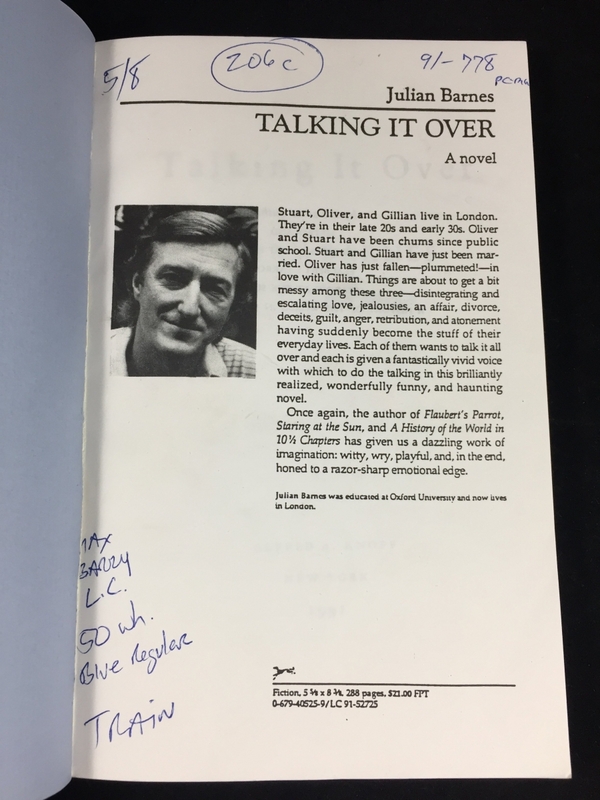 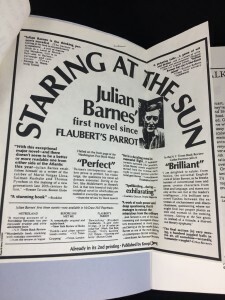 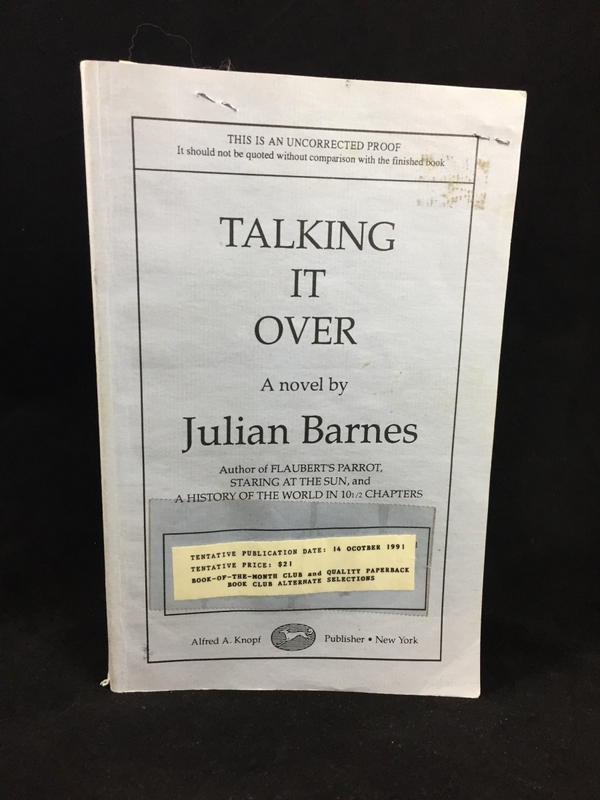 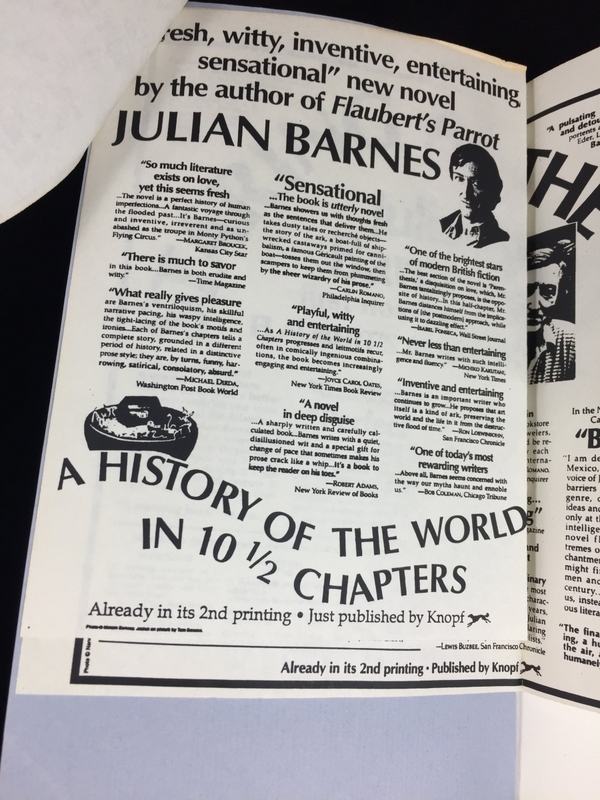 As a promotional item, Knopf produced a separate, white proof signed by Julian Barnes that was housed in a black paper “box sleeve”. The proof presented here is the standard proof that precedes the special proof. 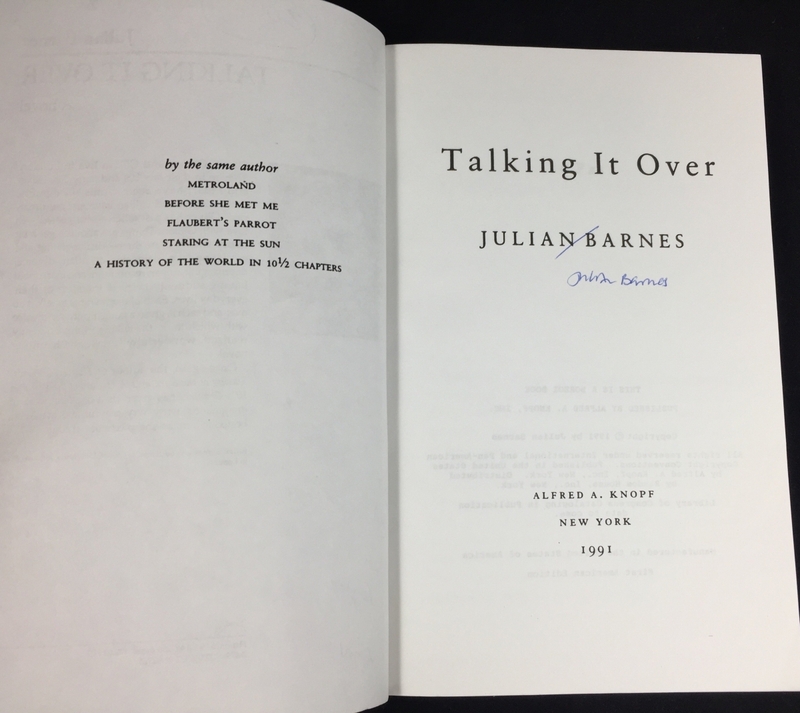 Shown in the photos are three versions of the uncorrected proof. 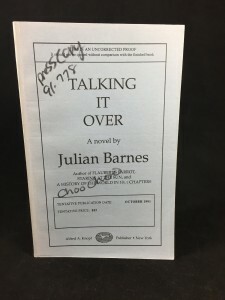 The first is a standard copy without markings. 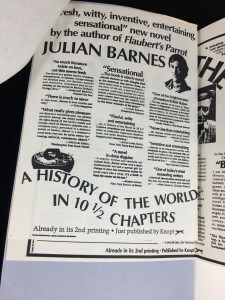 Another is the printer’s or “Press Copy”, which features printing information on the cover and text block indicating the color of paper to be used while printing the proofs. 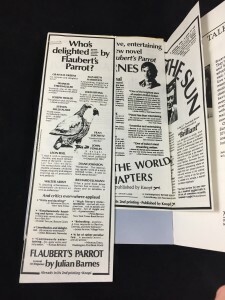 Written on the text block in ballpoint ink is “50 wh. 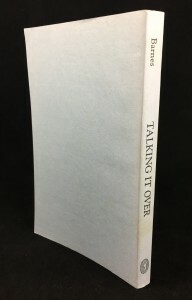 | Blue Regular | Train”, suggesting the color that should be used for the paper covers. 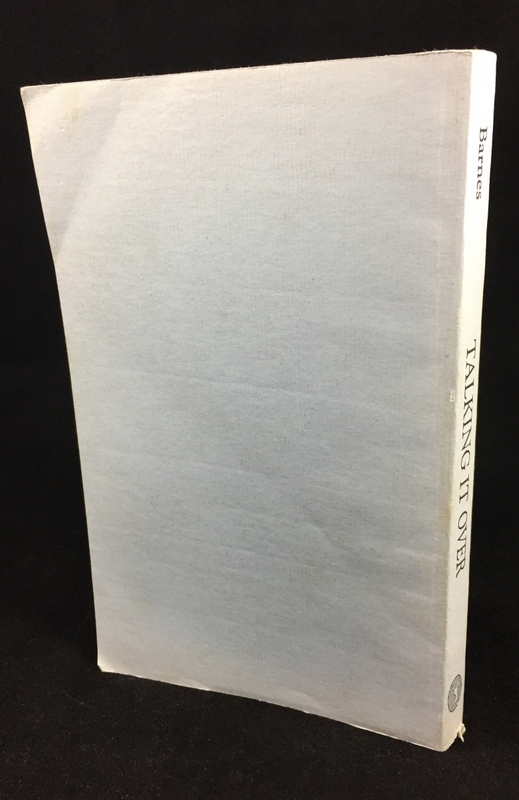 On the paper cover is written, “press copy | 91-778 | choo choo”, the “choo choo” suggesting “Train”, as written on the text block. In addition, the date on which the proofs were printed is written on the spine as “5-8-91”. 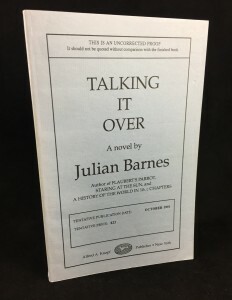 The third version presented here is a copy prepared for distribution to reviewers. 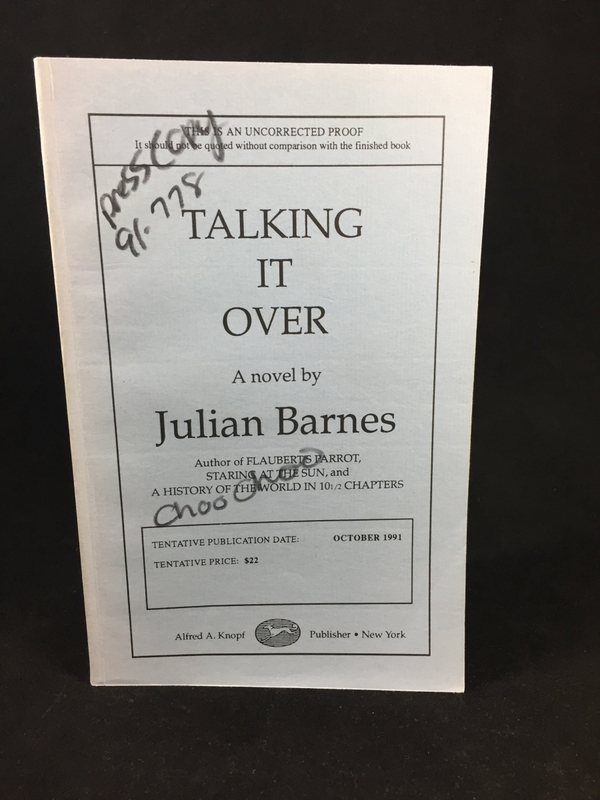 The original provisional publication date and price have been covered over with a white slip of paper taped to the cover. 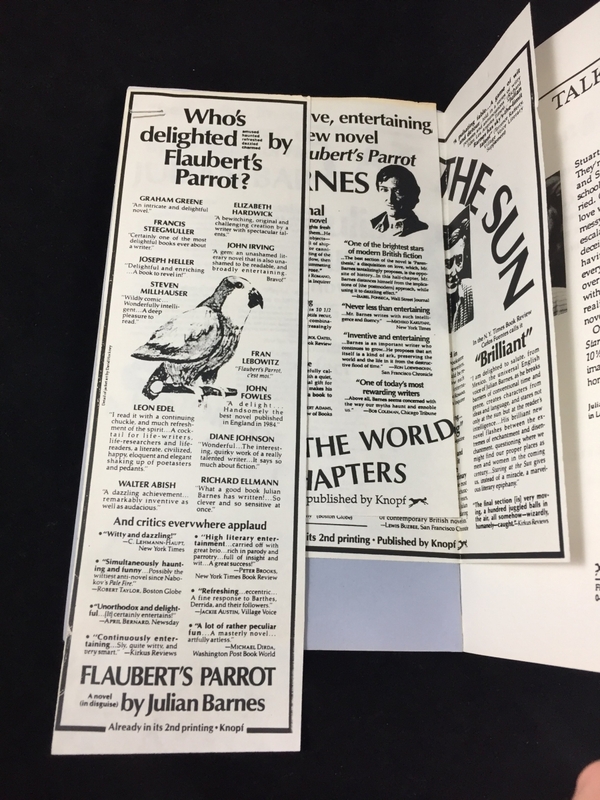 In addition, three pages of advertisements have been stapled to the inside front cover.